When not rapping, Vanilla Ice buys houses and flips them after extensive enhancements and upgrades in which he won’t settle for less than top quality. 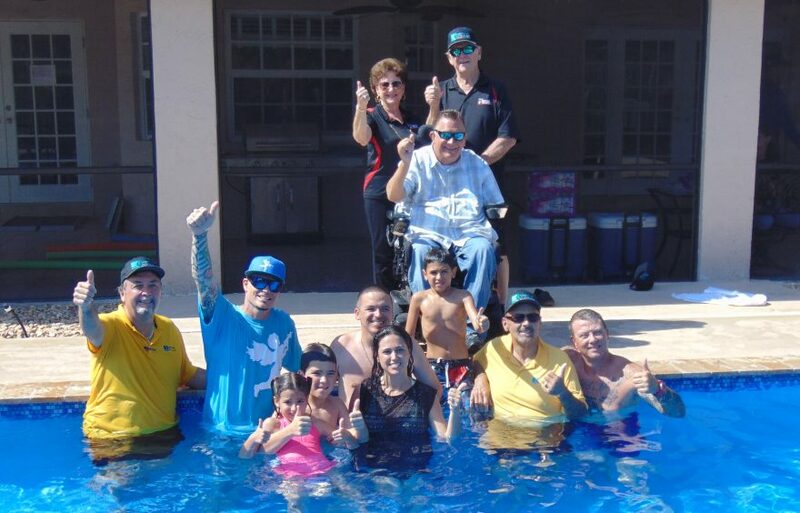 “Ice Your Backyard with Van Kirk Pools” was the gist of those segments, Vanilla Ice being not just another satisfied customer of Van Kirk & Sons Pools and Spas, but a repeat one at that. For the rapper didn’t want just a bland rectangular design with a diving board and plastic pool chairs on a cement deck. On the contrary, he wanted something to fit his eccentric personality and lifestyle. So, after extensive give and take with the Van Kirk crew, grounds were broken for what’s since become a big lagoon-shaped pool, complete with the rapper’s Cupid insignia on the bottom, a couple of deckside dolphins blowing in filtered water, and a narrow, twisting stream flowing at 2 miles per hour behind an island where stands a straw tiki hut, ideal for libations and music in the shade. To call this a mere swimming pool would be an understatement. “I like to create a lifestyle, not just a swimming pool,” Vanilla Ice says on his show, adding that what Van Kirk has built can be seen as an investment, since it so enhances a property’s value, and may inspire the homeowner to go forth with other luxuries like a home theater, bowling alley and more. That being Vanilla Ice’s mindset, it’s only natural that he’s become a de facto son of the Van Kirk family, whose patriarch, Bob, originated those high ideals in 1975. The now thriving $25 million business has been passed on to sons Bobby and Tim, who keep a lot of other Van Kirks among the nearly 125 in their employ, with customer service being the heartbeat. In its 40-plus years as one of the Sunshine State’s dominant pool contractors, the Van Kirk operation has built over 10,000 of them, its geographical footprint stretching from the Florida Keys to Orlando and, by special request, nationwide and abroad. Among its industry awards is a seven-year streak of ranking in the nation’s top 50 pool builders and numerous citations for professional expertise and charitable deeds in South Florida. Around 70 percent of the Van Kirk business is upscale residential, while the commercial side includes such high-profile hospitality clients as the Fontainebleau in Miami Beach, Ritz-Carlton, Westin, Hard Rock Café, Soho Beach House, Peabody Resorts and Hotels, many ritzy condos on the Gold Coast and elsewhere, and the Miami Marlins baseball team and their stadium, Marlins Park. Residential or commercial, there’s something to suit anyone’s preference, assures marketing director Jon Schulter. 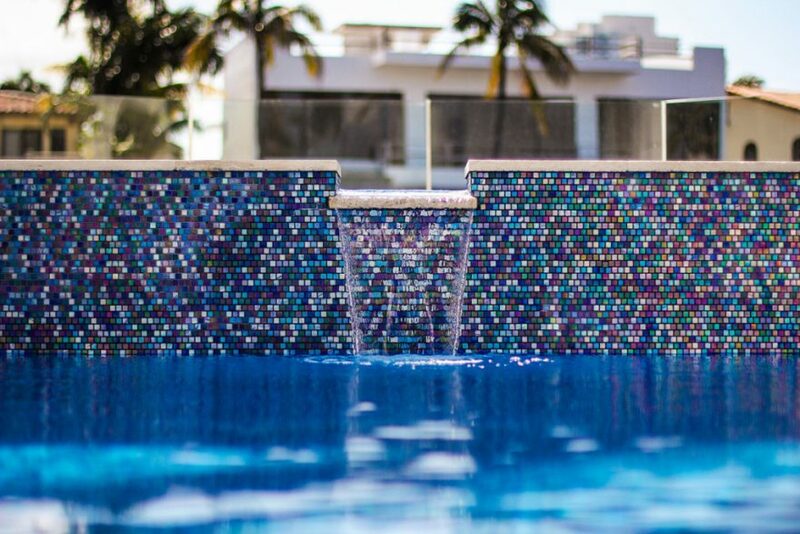 Add-ons include rock waterfalls, water spouts, flow decks, slides, LED lighting, swim-up bars, fire pits, glow-in-the-dark tiles, hot tubs, pergolas, outdoor kitchens and infinity decks. All that and more is on display at Van Kirk’s 20,000-square-foot facility that includes an indoor pool showroom, fully stocked warehouse and new outdoor waterfall located in front of the building. Given the complexity of the projects, nothing is rushed during consultations and the planning process, although Bobby emphasizes that it’s a very efficient operation. There’s also a lifetime guarantee for the pool structure, assistance with the permitting process and financing, options for float insurance and basic service being a phone call away. And those customers keep on coming. Florida’s home-building industry is healthy again and each day brings another 1,000 people to the state as more tracts are opened for development, particularly away from the congested coast. While much of Van Kirk’s business, especially on the commercial side, has long resulted from word of mouth, Schulter’s aptitude in digital marketing has been the driving force behind more recent growth. “I don’t think we’ve even scratched the surface,” he says. What’s also good for continued business is the Van Kirk’s emphasis on community service. Schulter was happy to participate in the recent Mothers Against Drunk Driving 5K dash in Fort Lauderdale, his commitment partially stemming from one of his half-brother’s employees being killed by an impaired motorist. A simple Facebook post was all it took for the pool company to donate to and sponsor the Jaguar Athletics Performance program in Royal Palm Beach. Last year, Van Kirk & Sons sponsored a Relay for Life event on behalf of the American Cancer Society. “The Van Kirk family would like all families to have the means of bonding that they have enjoyed. 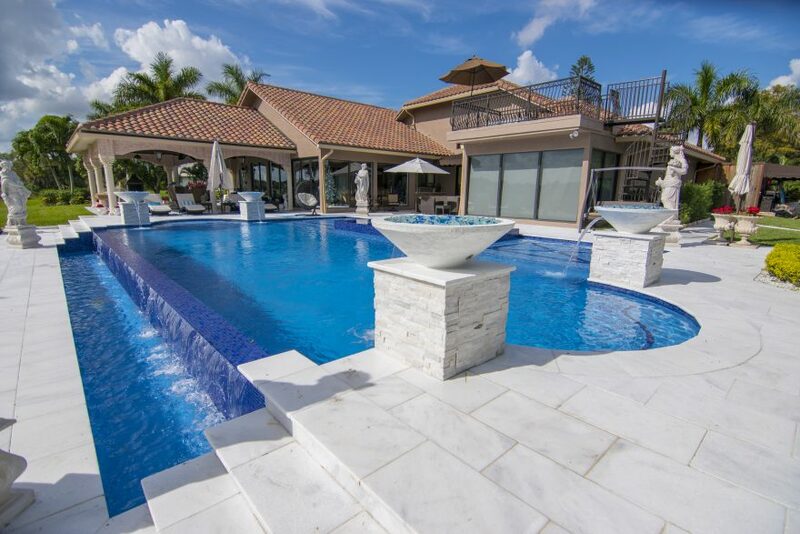 A high-end pool is just the way to do it. 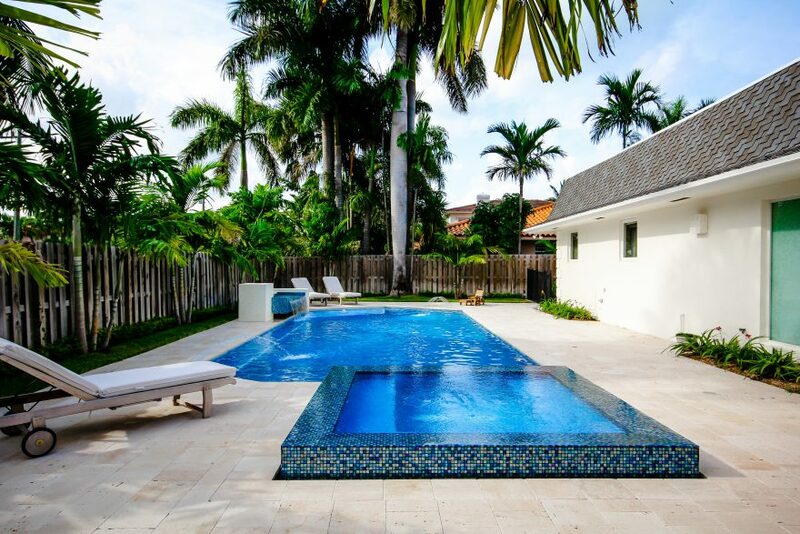 Why sit in the car for hours going to Orlando or the Keys, when you can have your own backyard paradise where family and friends can enjoy each other’s company without all the hustle,” Schulter says. But as big as Van Kirk & Sons grows, bedrock values remain that provide such a foundation for further progress. Could be the rapper has it among his selections, although there may be another in the works, and, in this case, Van Kirk & Sons like when history repeats itself. Showcase your feature on your website with a custom “As Featured in Blueprint” badge that links directly to your article!